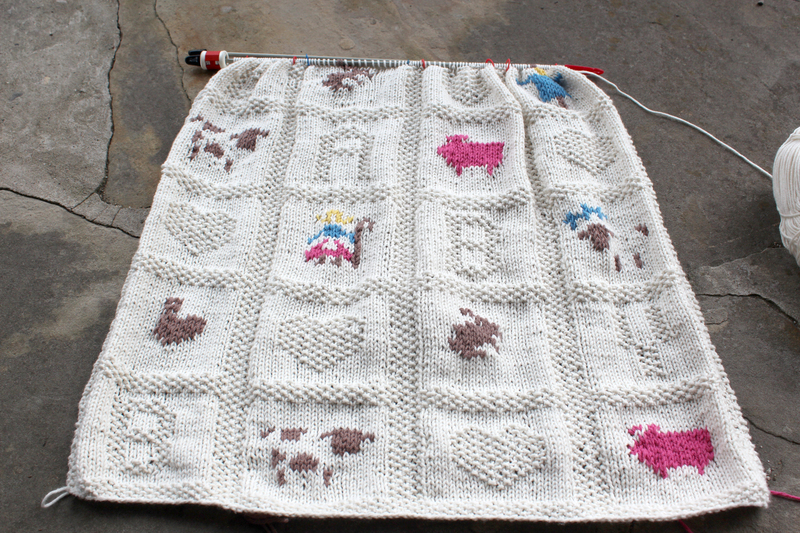 As promised here is the latest photo of the Farmyard Baby Blanket by Debbie Bliss I’ve been working on. As much as I love this pattern it’s been frustrating the hell out of me. It’s a user problem and not a pattern problem (I just keep making mistakes). I’ve been so tired with the combination of the house reno stress, upcoming business plan and insomnia issues I’m having trouble focusing on things. I have to force myself to slow down or I’m going to burn myself out. It’s a good thing that knitting is good for stress and mental health or I’d be a basket case by now.